Perkins+Will’s Gender Equity Taskforce Toronto (GETT) presents an evening of discussion with five established and emerging leaders from Perkins+Will’s Canadian practice. Representing a breadth of disciplines and experience levels, our speakers will discuss career trajectories within the practice and the profession; opportunities for leadership that exist at every stage of a career; and their own experiences as women leading change in an evolving discipline. Established in January 2018, GETT is an initiative of Perkins+Will’s Toronto studio to promote gender equity and diversity in architecture and design, both within the practice and more broadly within the larger design community. Established by female leaders within the office, and comprised of ten employees on a rotating basis, the Taskforce represents the studio’s full range of disciplines and seniorities, from student interns to Principals. GETT is delighted to be hosting a BEAT discussion as their first public event! In the workplace today, it is important that we are known to others, and to ensure that others are aware of our resourcefulness. Networking can be one of the most powerful and productive activities an individual can do to launch and manage their career. BEAT MIX at the Interface Showroom will be a platform to develop a series of relationships across Toronto’s Architecture and Design communities. BEAT MIX will include five invited Featured Guests who are stationed in five specific Zones. The Featured Guests will comprise of Partners and Principals from local design firms of various sizes, along with leaders in adjacent professions. Participants will have the opportunity to interact with the Featured Guests and meet a succession of individuals in small groups throughout the evening. BEAT encourages Interns, emerging practitioners and seasoned professional to join this interconnected community to share information, advice and opportunities. Beverages and light refreshments provided curtesy of the Food Dudes. All guests are required to be 19 years of age or older. Limited space available. Brenda Webster Tweel holds a Master of Architecture (1988) and Bachelor of Environmental Design (1985) from the Technical University of Nova Scotia where she received the RAIC Student Medal. Prior to her education in Architecture, Brenda completed a BA Honours from Trinity College at the University of Toronto in Political Science and Economics. She currently serves as a member of the Trinity College Building Project Steering Committee and the Architect Selection Advisory Committee as well as a member of the Board of the First Free Schoolhouse located in Corktown. A champion for urban renewal with solid international experience, Brenda partners closely with infrastructure, financial, and government teams. She integrates technical foundations in Landscape Architecture, Architecture and Urban Design to build resilient solutions. 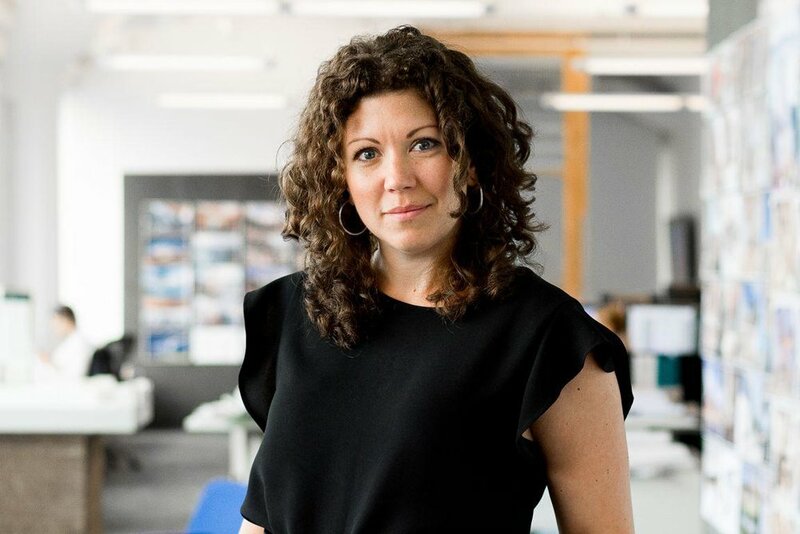 With over 20 years’ experience in leading urban designs and master plans in Toronto, London and Berlin, Brenda has an exceptionally strong record for designing large, complex, multi-stakeholder projects. She has nurtured an extensive network of design advocates in business, government, and academia and is an inspirational speaker. Before joining Urban Places in 2017 she spent close to a decade on urban revitalization at Waterfront Toronto. Having previously worked as a Professor of Architecture, she continues to find time to join reviews at both McGill and the Daniels School. She has had great success with taking a studio approach to public engagement. She gains understanding of community needs through iterative observations and conversations, tests the ideas through collaboration and delivers solutions that are embedded in the community governance. Gloria Apostolou graduated from the University of Waterloo in 1997 with a Bachelor of Architecture Degree and a Bachelor of Environmental Studies Degree. She has interned in offices in Greece, Italy and Finland, before returning to Toronto where she worked with Baldwin & Franklin Architects for 10 years and eventually started her own practice. She is a licensed Architect with the Ontario Association of Architects and an accredited LEED Professional. Post Architecture is a boutique architecture firm, based in Toronto, specializing in contemporary custom home design and residential transformations. They are known and respected for sensitive integration of new, modern design in traditional contexts, applying innovation to create spaces for an exceptional lifestyle. They believe the spaces we inhabit, and also our lives, are blurring the distinction between our working, social, and private selves—and design naturally needs to respond to this. Residential clients are asking for the inclusion of home offices, restaurant-like kitchens, boutique hotel bedrooms, and spa bathrooms in their homes; their designs deftly cross disciplines and borrow from the research and development available in the commercial and retail sectors, for new solutions in lighting, fixtures, furnishings, and construction materials, to support the new living environments. Kathryn is currently the Director of Marketing, Canadian Buildings with PCL Constructors Canada Inc. Prior to joining PCL in 2013, Kathryn was a Principal with Moriyama + Teshima architects where she worked for ten years managing business development, marketing and proposals. Prior to her career in architecture and marketing, Kathryn was a lawyer initially practicing land use planning and municipal law with Smith Lyons and subsequently as Discipline Counsel with the Law Society of Upper Canada. Kathryn received an honours Co-op degree in Recreation and Sociology from the University of Waterloo; an M.Phil. in International Relations from the University of Cambridge; her LL.B. from Osgoode Hall Law School; and her M.Arch from the University of Toronto. Passionate about the environment, Kathryn is currently a member of the Board of Directors of Environmental Defence. When not chained to her desk, Kathryn reminisces about her youthful adventures bicycling solo across Canada, trekking to Everest Base Camp, and defeating Oxford at the British Henley as a member of the Cambridge University varsity squad. As a highly skilled project manager at PCL Constructor Canada Inc. (Toronto), Jayne has over 16 years of professional experience in the construction industry. Jayne received an honours Bachelors of Science and Masters of Science from Salford University in the UK. She is also a professional member of the Royal Institute of Chartered Surveyors. She started her career as an apprentice quantity surveyor studying while working full-time. Through her experience, she worked in the field and was promoted to her current role of project manager. She has extensive experience working with clients and design teams to work through design solutions and meet budgeting and functionality requirements. Jayne recently completed the $43M Billy Bishop Airport Revitalization project that involved both the renovation and addition to the existing terminal building at Billy Bishop Airport, while maintaining full operations. When not at work, you can find Jayne with her two dogs or at a yoga studio. As an avid advocate for elevating women into leadership roles, Jayne is on the advisory committee of The Petra Initiative that tackles the external and integral challenge women face pursuing leadership. She is also the co-chair of PCL Toronto’s new Diversity and Inclusion Team. Leslie holds degrees in English Literature and Law from the University of Saskatchewan, and a Bachelor of Architecture from the University of British Columbia. For nearly 12 years, she was the Associate Editor of Canadian Architect magazine, during which time she contributed significantly to the discourse of architecture and urbanism in Canada. In her present role as Marketing Director at Toronto-based architecture firm superkül, Leslie works to develop the distinctive brand of the studio through focused research, strategic communication initiatives and promotional opportunities. She is concurrently authoring a book on Canadian architectural practices and their work that is scheduled for release by Figure 1 Publishing. Additionally, Leslie maintains a consultancy practice, undertaking writing, editing and curatorial projects for several design magazines, award-winning architectural firms and arts organizations. She has been an invited jury member for exhibitions and awards programs, and her commitment to and advocacy for architecture and design manifests in her active role on the Board of Directors of the DesignTO Festival. Leslie was named a Fellow of the Royal Architectural Institute of Canada (FRAIC) in 2016. Shannon studied Structural Engineering at Dalhousie University, before becoming an associate at Blackwell Engineering. At Blackwell, she was privileged to work on some fantastic projects, such as Goldring Centre for High Performance Sport and NFCS Headquarters (including the longhouse). After many wonderful years at Blackwell, she decided to try something new, and worked with cast steel at Cast Connex. It was fun and she loved traveling North America, dealing with some of the top Architecture and Engineering firms in the world, but she missed designing. In 2014 she decided to start her own firm, faet lab. This allowed her to focus on feature elements and component design. Shannon also teaches the Structures curriculum in the Masters and Undergraduate programs at Daniels School of Architecture and Landscape design, University of Toronto. Tickets are available through above link as of March 21st at noon. All guests are required to be 19 years of age or older. Limited space available. BEAT dinner series is bimonthly dinner with access to sensational food and stimulating conversation. BEAT believes that every conversation counts and works to create inviting contexts that foster open dialogue. Each BEAT dinner is hosted at a remarkable Toronto restaurant. A highlight of this event is that a different guest of honour will be invited to each dinner. Erandi de Silva is a British/Canadian architect and editor, currently based in Rwanda. She is the founder of LOKÉ, a project that actively seeks to diversify architectural narratives. Her organization produces and sells design objects that raise funds to enable community building projects in low-income countries. Accompanying this work, she edits a design publication which examines the practice of making as an inclusive, international pursuit. Interviewees have included: Paris-based architect India Madhavi, artist Nick Cave, New Delhi-based fashion designers NorBlack NorWhite, design critic Alice Rawsthorn, Milan-based artist Nathalie du Pasquier, and many more. She is a graduate of London's Architectural Association and is a registered architect in the United Kingdom. Her work has appeared in PIN-UP, Domus, Bidoun's With/Without, and is discussed in Keller Easterling's Extrastatecraft. Limited tickets to the dinner will be available on Monday March 25, 2019 at noon. All guests are required to be 19 years of age or older. See dinner menu below! 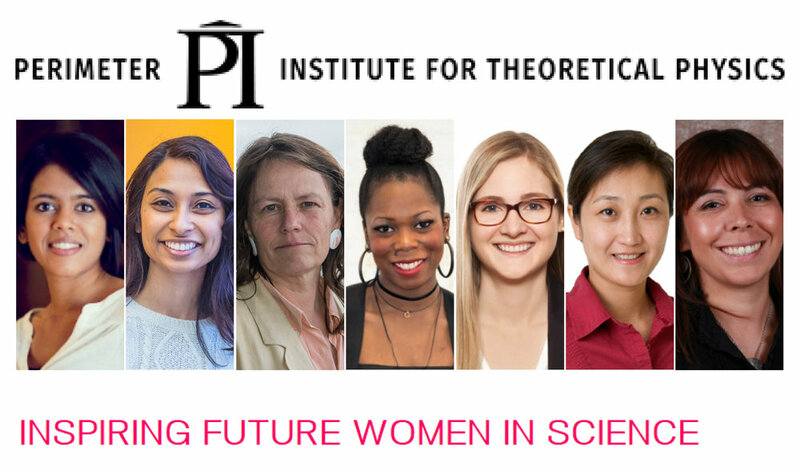 Perimeter Institute will host an inspirational half day conference on Thursday, March 7, 2019. The goal is to bring together like-minded young women with a strong interest in science and expose them to the rewards, challenges, and possibilities of a career in science. BEAT’s Managing Director Camille Mitchell will be a panelist for the event. Attendance to this event is limited. 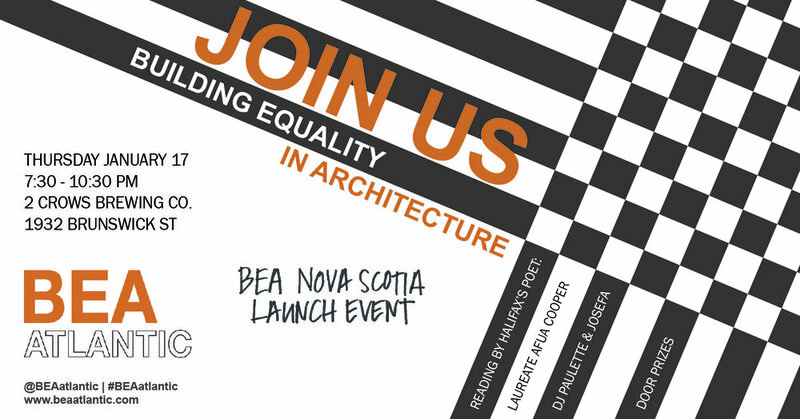 Join us for the official launch of Building Equality in Architecture Atlantic (BEA Atlantic) for Nova Scotia, held at 2 Crows Brewing Co. on Thursday January 17, 2019 from 7:30 PM – 10:30 PM in partnership with Building Equality in Architecture Toronto (BEAT), a not for profit organization promoting diversity and equity for the profession of architecture. We invite friends, partners, allies, and colleagues to celebrate this exciting initiative and engage in the event by coming together to share ideas on how to propel the initiative forward in Atlantic Canada and celebrate the leaders of respective fields on the east coast. 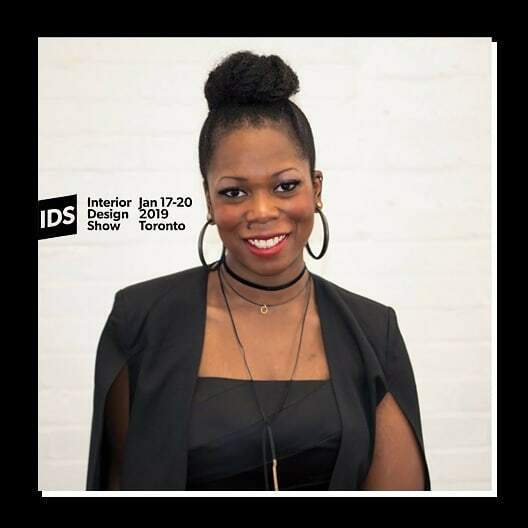 BEAT’s Managing Director, Camille Mitchell, will be a featured speaker at Toronto’s Interior Design Show in January! The proverbial glass ceiling is an ineffective metaphor to describe the barriers of women, visible minorities and marginalized groups within the architecture profession. There is not a singular challenge or trajectory to overcome when yearning to achieve effective work-life balance, a healthy work environment, or professional recognition. These are among the numerous inherent challenges that young women will encounter along an incessant obstacle course throughout their careers within the architecture profession. And each “obstacle course” is unique to the individual who may decide to endure it or leave if they are not presented opportunities while striving to overcome the many challenges facing them throughout their careers. Camille Mitchell has been a part of the design team of KPMB Architects since graduating from the University of Waterloo School of Architecture. She was recently part of the design team for the of new Kellogg School of Management at Northwestern University and is currently a project architect for a new commercial tower development at Bay Adelaide Centre in Toronto. Camille is currently volunteering as the director for the independent organization Building Equality in Architecture, Toronto (BEAT) whose programs are dedicated to creating events and web content that support mentorship, networking and leadership opportunities for women and visible minorities in the profession. She is a firm believer in involving visible minority groups in designing their built environments and participating in various STEM programs. Camille is passionate about promoting architecture as a profession to youth and marginalized communities through career workshops and as a member of OCADU’s Black Youth Design Initiative. She continues to serve as a mentor with the Lifelong Leadership Institute, a program that promotes excellence amongst Black students as they transition to post-secondary education, work that was captured in the CBC Television documentary HERstory in Black that aired September 2017. We bring people together to experience the power of design. During one four-day weekend each January, the Interior Design Show shapes the industry for the year to come – in North America and beyond. IDS Toronto celebrates and promotes design in Canada and across the world. Experiential and transformative, we bring together compelling concepts, innovative products, upcoming talent and key experts in the industry so that you can be inspired by the best of the future. Meet the leading designers, thinkers, makers, changers, shapers and dreamers like you who are coming together to change the world for the better. IDS Contract - a hyper curated B2B trade-only exposition focused on the most innovative products and services that will focus on all verticals of design including workplace, healthcare, hospitality, retail, education, public space and government. IDS Conference - a comprehensive 2-day symposium with a focus on 4 specific verticals Future Cities, Experience, Technology and Diversity & Talent. We are honoured that our featured guest for the upcoming BEAT Dinner will be Marina Tabassum. Marina Tabassum founded her firm in 2005 and is based in Dhaka, Bangladesh. Her practice is one that seeks to establish a language of architecture that is contemporary yet rooted in place. Her work is varied and focuses on community centres, public schools, museums and eco resorts. Ms. Tabassum graduated from Bangladesh University of Engineering and Technology in 1995. The same year, she founded URBANA where she was a partner for 10 years. The most important project of this partnership is the Independence Monument of Bangladesh and the Museum of Independence designed in 1997 and completed in 2013. Ms. Tabassum is the academic director of the Bengal Institute for Architecture, Landscapes and Settlements. She taught Design studio at Harvard University Graduate School of Design. She taught Advanced Design Studio as visiting professor at the University of Texas in 2015 and in BRAC University from 2005 to 2010. She is a member of the Steering Committee of Aga Khan Awards for Architecture. She is also a member of the Board of Directors of Prokritee, a guaranteed Fare Trade organization that has empowered thousands of women and artisans of Bangladesh through export of handcrafted objects. Ms. Tabassum won the Jameel Prize 5 in 2018. She is also a recipient of 2016 Aga Khan Award for Architecture for the Bait ur Rouf Mosque in Dhaka. Her project the Pavilion Apartment was shortlisted for the Aga Khan Award in 2004. Ms. Tabassum received the AYA Award from India in 2004 for the project NEK10 located in Dhaka. She is a recipient of 2005 Ananya Shirshwa Dash Award, which recognizes women of Bangladesh with exceptional achievements. Limited tickets to the dinner will be available. See dinner menu below! Wine will be paired with the prix-fix dinner. Tea and/or coffee service will be offered with dessert. Helena leads the studio’s urban design work, community and cultural projects. She loves to collaborate with other disciplines and is always open to new challenges. She has twenty years of experience in architecture, urban design, cultural planning and community engagement. Helena has worked with non-profits, private companies and public sector organizations in Canada, USA and the UK including England’s Commission for Architecture and the Built Environment (2007-09) and the Manifesto Foundation for Architecture in Scotland (2002). She is a member of the Metrolinx Design Review Panel, and Toronto’s Public Art Commission. Helena has taught at Emily Carr University (2003-06), University of British Columbia’s School of Architecture and Landscape Architecture (2005-06) and has co-authored two books: The Contemporary Canadian Metropolis and Towards an Ethical Architecture. Workshop Architecture is an architecture and urban design studio that was established in 2010 to create innovative buildings and public spaces. Our studio provides a full range of architectural services and cultural planning for public and private clients. We welcome client commissions and also identify and initiate our own community-based projects. We are always open to applying our design approach to new challenges and new places. We have no house style, but respond to unique design problems with innovative solutions. We love to collaborate with other disciplines and with our clients. Our studio is led by architect David Colussi and urban designer Helena Grdadolnik, who have over 30 years of combined experience. We are committed to being a fair employer and to providing at least 1% of our time towards pro bono work. This is a limited space event. Ticket sales begin November 2nd, 2018 . Tokyo-based architectural curator and editor Kayoko Ota is a founding partner of PLAT, a platform for enhancing architectural thinking in socially engaged cultural and educational projects. From 1987 to 1996 she co-directed Workshop for Architecture and Urbanism, organizing a variety of cultural and educational programs, publishing Telescope magazine, and hosting summer schools with the AA School of Architecture in Tokyo. She was also vice editor and editorial board member of Domus magazine in Milan from 2004 to 2007. After ten years at AMO, the creative think-tank arm of OMA in Rotterdam, she returned to Tokyo to curate the Japanese pavilion in the 2014 Venice Biennale for Architecture as commissioner. Ota is the curator of CCA c/o Tokyo through 2019. Mauricio Quirós Pacheco is an Assistant Professor at the John H. Daniels Faculty of Architecture, Landscape, and Design. He was Researcher for the Office of the Director at the Canadian Centre for Architecture (CCA) from 2010 until 2014 and has practiced in America and Europe in offices including Stanley Saitowitz Office and the Renzo Piano Building Workshop. Read his full biography here. BEAT dinner series is bimonthly dinner with access to sensational food and stimulating conversation. BEAT believes that every conversation counts and works to create inviting contexts that foster open dialogue. Kelly Bair is partner at BairBalliet (www.bairballiet.com). BairBalliet is a joint design venture invested in architectural research in the form of both speculative and built projects. As designers we reference the current world around us, lean on a long history of precedents, and imagine what lies ahead in the form of two & three dimensional architectural projects. Bair’s work has been exhibited nationally and internationally including in the inaugural Chicago Architecture Biennial (2015), the 15th International Architecture Exhibition in the U.S. Pavilion at the Venice Biennale (2016) and MoMA PS1 as a Young Architects Program Finalist (2018) among others. Bair is the Director of Graduate Studies and an Associate Professor of Architecture at the University of Illinois at Chicago. Bair’s writing on architecture has been published in Project, Log, and Room One Thousand among others. She is also co-founder of Possible Mediums (www.possiblemediums.com), a collaborative of four architects and educators interested in shaking up the context and format in which architecture is taught, produced, and engaged. She is also co-author of the book, Possible Mediums published in 2018 by Actar. 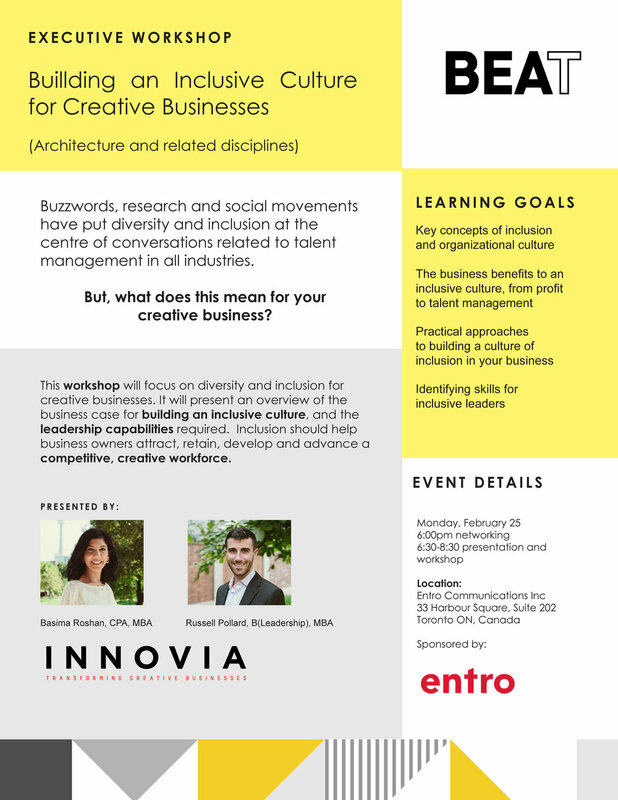 This event is a collaboration among BEAT, the Daniels Faculty Committee on Diversity and Equity and the Graduate Architecture Landscape and Design Student Union (GALDSU). It is open to Daniels Faculty students and registration is not required. What in your career so far has surprised you? What do you hope to do that you haven't done yet? What have been the greatest career challenges you have experienced? Kyra Clarkson is the Principal of Kyra Clarkson Architect Inc. and co-President of MODERNest Inc.
Kyra has been practicing architecture since 1995. She founded her eponymous architecture practice in 2007. Her firm specializes in house projects both renovation and new construction. The work of the office is characterized by a clean modernism with a commitment to warmth, the importance of daylight and connections to the outdoors. In 2011, Kyra and her husband launched MODERNest Inc., a development venture building architect-designed homes in downtown Toronto. In reaction to the typical neo-traditional homes being built in the city, they saw the need for high-quality, honest, and inspiring homes that express a modern spirit. MODERNest Inc. has built six houses to date, and has been recognized in several publications, including Canadian Architect, The Globe and Mail, Monocle Magazine and Dwell. Kyra holds an undergraduate degree from the University of Toronto (B.A., 1991) and a graduate degree (M. Arch., 1995) from Yale University. She worked for ten years in New York with Tod Williams Billie Tsien Architects, and joined Shim-Sutcliffe Architects when she moved back to Toronto in 2005. Beth Kapusta is a Principal of Brook McIlroy. Throughout thirty years in the design field, Beth has left a mark on Toronto’s urban landscape through her advocacy for design excellence, undertaken in her many roles as a critic, consultant, and strategic advisor. In 2013, she founded Metrolinx’s Design Excellence program as the organization’s first Chief Design Excellence Officer, charting a vision to elevate the quality and customer focus of design across the provincial agency’s transit projects. She also provided design excellence consulting to TTC and Regional Express Rail. In addition to transit, she has provided strategic consulting for competitions and awards that have shaped the urban realm. As an architecture critic, she has written extensively on architecture, sustainability and design for publications from Huffington Post to the Globe and Mail. 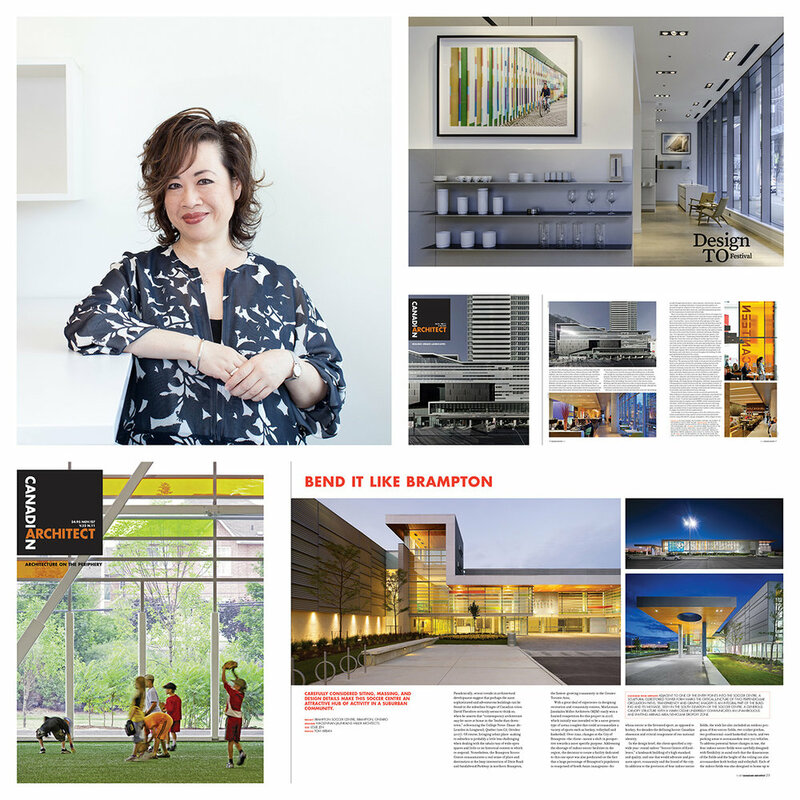 She began her writing career as an editor at Canadian Architect, overseeing its award-winning redesign in 1993. She received her Bachelor of Architecture degree from the University of Waterloo. Kate Nelischer is the Assistant Dean, Academic and Outreach Programs at the John H. Daniels Faculty of Architecture, Landscape, and Design. 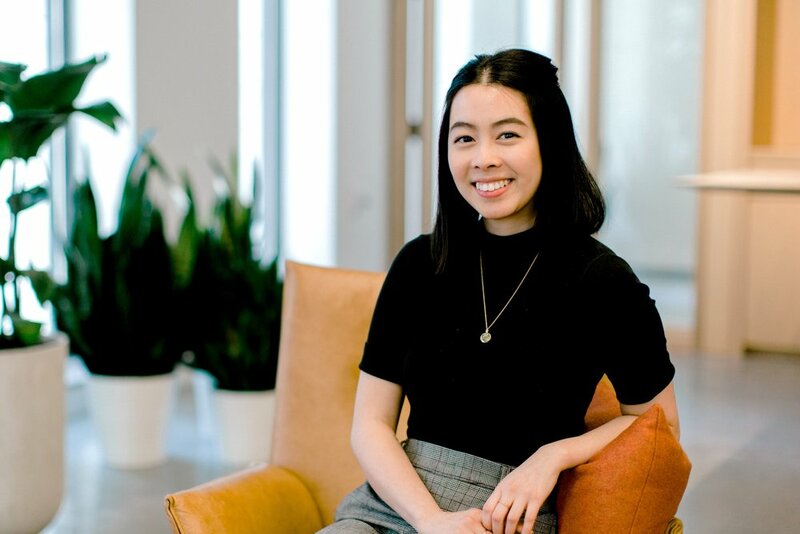 She is also a PhD Candidate in Planning at the University of Toronto, where she studies the governance and public-private partnership structures associated with the Google/Sidewalk Labs plan for Toronto's Quayside neighbourhood. Kate previously worked in urban planning and community consultation for the City of Toronto, the City of Brampton, and local firm The Planning Partnership. Kate regularly writes for a number of urban-focused publications, including Spacing, SITE, and Ground Magazine. Since 2013 she has been a Director of the National Board of YWCA Canada, the country’s oldest multi-service women’s organization. We are honoured that our featured guest for the upcoming BEAT Dinner will be Joyce Hwang, Director of design office Ants of the Prairie. BEAT successfully creates opportunities for local design community to network and foster open dialogue. Our dinners require an engagement with a delicious meal within a unique context and among incredible company. Hwang is also a Sessional Lecturer at University of Toronto John H. Daniels Faculty of Architecture, Landscape, and Design. Merike Bauer was born in Canada in 1975. An award winning student at the University of Toronto, she received her Professional Bachelor of Architecture in 2002. In 2005 she and partner Stephen Bauer, launched Reigo & Bauer, a design office that has been widely published and recipient of numerous awards. Working closely with partner, Stephen Bauer, on all aspects of design, Merike’s success in heading the project management for their projects is owed to her strength in delicately balancing design goals, on site forces, and strict budgets. Her passion for finishes and furniture have allowed Reigo & Bauer’s work to bridge architecture and interior design seamlessly, delivering cohesive projects that carry design concepts from the overarching architectural ideas down to the finest details during the furnishing of the project. As a compliment to the design practice, Merike launched Are & Be in 2011, an architectural finishes showroom with a curated collection of carpet and wall coverings. A frequent guest lecturer for the Professional Practice courses at both Waterloo University and University of Toronto, Merike has also lectured on the work of Reigo & Bauer for the AGO; the Toronto Society of Architects; and the London Society of Architects. Limited space event. Ticket sales begin in October 13th at noon. MJMA is a Toronto-based multidisciplinary design firm focused on projects that advance personal and civic wellness. In addition to Architecture, the firm fully integrates the design disciplines of Landscape Architecture, Urban Design, Interior Design, and Environmental Graphic Design under one roof, with accredited designers in each field. This process allows us to integrate and overlap at each stage of a project to generate diverse and holistic thinking, ensuring an innovative but consistent and rigorous tailored design solution. Olga’s design career is highlighted by award-winning projects completed at some of Canada’s most reputable architecture firms including: Ian MacDonald Architect, Shim Sutcliffe Architects, and KPMB Architects. Since joining MJMA in 2009, Olga has led a broad range of community recreation projects. She continues to bring thoughtful project-specific design solutions with responsive site strategies, spatial richness and carefully articulated materials to her projects. Furthermore, Olga’s design strength is rounded out by a global perspective and continued advocacy for local issues through her involvement with non-profit organizations: participating on international teams with Habitat for Humanity building homes in Central America, Kenya, and Kyrgyzstan. Tarisha graduated from the University of Toronto with a Masters of Architecture in 2003. She is both a registered Architect and Interior Designer. Over her 20-year career, she has focused her attention to interior design and detailing and has developed strong organizational, graphic and communication skills, working in multi-disciplinary team environments for a variety of project types. She now works almost exclusively on community and recreation interiors. This expertise allows her to translate design concepts into innovative, creative and supportive design solutions, and her close attention to technical detailing has resulted in numerous national design awards. After completing a BLA at the University of Toronto in 2001, Darlene returned to Daniels School of Architecture, Landscape and Design in 2013, to complete a post-professional MLA as a way to further her research and understanding of the profession. She has designed landscapes in Canada and in the U.S. that range from a 50-mile long bioremediation project in Riyadh; to a rooftop children’s garden for the YMCA; to a post-Sandy resiliency study for buildings along Water Street in Manhattan. All of the projects evaluate natural and sociological systems and project ways of navigating into future decades. Several of her projects have won prestigious awards including two 2014 New York ASLA Awards for the Master Plan of Hudson Square and the design of West Point Foundry Preserve where she served as the prime designer / project manager, with large teams of specialized consultants. As MJMA’s Director of BIM and Digital Practice, Claudia leads the implementation of BIM and ensures the studio continues to be at the forefront of technology and innovation. Claudia is a licensed architect with nearly 15 years of practice in both Ontario and British Columbia. She oversees all of MJMA’s BIM Projects and is integral in their setup and is a key member of all the firm’s recent recreation projects. Claudia is a BIM industry recognized thought leader, as the Executive Director of the Toronto BIM Community, the Vice-Chair of Communications for BuildingSMART Canada, and a board member of the Institute for BIM in Canada (IBC) Steering Committee as a RAIC representative. Limited space event. Ticket sales begin in September 10th at noon. In the workplace today, it is important that we are known to others, and to ensure that others are aware of our resourcefulness. Networking can be one of the most powerful and productive activities an individual can do to launch and manage their career. BEAT MIX at the Herman Miller Showroom will be a platform to develop a series of relationships across Toronto’s Architecture and Design communities. Meg is a Principal at superkül, a Toronto-based architecture practice founded in 2002 and recognized as one of Canada’s leading design firms. superkül’s commitment to design excellence, pragmatism, and advanced building technologies has resulted in numerous awards and the publication of the practice’s work locally, nationally and internationally. An articulate communicator and advocate for design, she also contributes her expertise in volunteer and board positions that speak to her strong leadership role both in and beyond the design community. She received her professional architecture degree from the University of Waterloo (B.Arch, 1997), and her postgraduate degree from Harvard University (MDesS, 2003), with distinction. Heather has 20 years of experience designing, leading and managing award winning projects in the residential, mixed-use, master plan and commercial sectors. As a Design Director, Heather is responsible for design reviews and elevating the design practices of Quadrangle across all sectors. Currently she is leading the design of The Wynford, 30 Widmer, 2442-2454 Bloor St W. and 520 Richmond Street West. Prior to joining the studio, Heather worked at architectsAlliance for 16 years as a Senior Associate. She continues to be active in the architecture and design community as a sitting member of the City of Toronto’s Design Review Panel, and as a guest critic at the University of Waterloo School of Architecture, and her alma mater, the University of Toronto Daniels Faculty of Architecture, Landscape and Design. Heather Anne Popovich is a graduate of the Civil Engineering program at the University of Waterloo, where her co-op experience pointed her towards a career in construction. Heather Anne has accrued several years’ experience working in the healthcare sector at St. Michael’s Hospital as a Project Coordinator and again as the Manager of Redevelopment. The bulk of her 18-year career in construction has been spent with Eastern Construction where Heather Anne has assumed an increasingly important role to become a linchpin in the day to day field operations of the company. Heather Anne fulfils numerous roles in the firm as a mentor, hiring manager, and department head. Currently Heather Anne manages the Project Coordination & BIM workgroups at Eastern requiring her input into each and every active project. Heather Anne has an ongoing portfolio of projects under her direct control as Preconstruction Manager, examples being the all-timber net-zero TRCA Headquarters, renovation of the former Trump Tower as the St. Regis Hotel Toronto, and the TTC McNicoll Bus Garage, a $130M design-build contract. With well over a decade working in the field, Heather Anne offers broad-spectrum experience that spans a wide array of projects including construction of the Li Ka Shing Knowledge Institute ($101 Million), expansion of Caesars Casino in Windsor ($370 Million), renovation of Mount Sinai Hospital ($102 Million), redevelopment of Queens Quay with Waterfront Toronto ($98 Million), and most recently, construction the Halton Region Police Headquarters ($54 Million). Heather Anne is a long-time shareholder at Eastern Construction and was appointed to the Senior Management Team in 2017. StudioAC leadership is comprised of Andrew Hill, Jennifer Kudlats and Reza Nik. The practice was founded in 2015 and has since received numerous accolades: appearing in a number of publications internationally and recently included on Azure Magazine's list of 30 Canadian Architecture Firms Breaking New Ground! Before StudioAC, Andrew, Jen and Reza worked under some of the leading figures in Canadian architecture at KPMB and Diamond Schmitt Architects. As a function of their pedigree, StudioAC strives to create impactful architecture that speaks to its context at a multitude of scales. We believe that good buildings can bring people together, enhance a community, help businesses to flourish and create landmarks within a city. We care about all details, big and small, and as a result we put the same amount of energy into all aspects of our work - from the broad strokes of architectural form to the details of our interiors. Catherine Osborne is an editor, writer and journalist based in Toronto. She is the former Editor of Azure, Canada’s leading magazine of contemporary international architecture and design. The award-winning publication was recently nominated for two National Magazine Awards, including in the category of Best Magazine. Before Azure, Catherine lived in Tokyo working as arts journalist for such publications as the Wall Street Journal, Japan Times and Tokyo Journal. She has interviewed and written about dozens of top international architects and designers including Sir David Adjaye, Jay Osgerby of Barber&Osgerby and Oki Sato of Nendo. Pina Petricone shares her time as Principal of Giannone Petricone Associates and as a Professor of Architecture at the University of Toronto. This dual role is a defining feature of the practice, enabling Pina to contribute intellectual rigor and research to the firm’s projects and processes, as well as to give real projects academic consideration. Pina’s creativity and love of design has led to some of the firm’s most remarkable projects including the award-winning Fresh Restaurant, the Centre for Ethics, at the University of Toronto, and Chester Le Daycare and Community Space, a new pilot project for the City of Toronto’s ‘priority neighbourhoods.’ Her current portfolio includes an exciting mixed income development in Phase II of the Regent Park Revitalization Project; two new house projects on the edges of Toronto’s unique ravines; a new retail concept for Cumbrae’s butchery on Toronto’s Queen Street; and, the resuscitation of the Royal Hotel in Ontario’s Prince Edward County. Pina has presented her work and research at several international conferences and symposia, including the IFWorld Conference at the Politecnico di Milano, the Banff sessions on Architecture in Banff, Alberta, the Tectonics: Making Meaning Conference at the Eindhoven Technical University, Netherlands, and recently at the Columbia University Think Tank on the Building Intelligence Project. Her work and research has been published widely in Canada, the U.S., Asia and Europe. In 2012 Pina celebrated the publication of her first book, “Concrete Ideas: Material to Shape a City”. Pina received her professional degree in architecture from the University of Toronto in 1991 and a Masters in Architecture from Princeton University in 1995. Limited space for event. Tickets sales begin June 18th, 2018 at noon. Tania Bortolotto is the founder and president of the Toronto based architecture and interior design firm, Bortolotto. Tania is a Fellow of the Royal Architectural Institute of Canada and is a WELL AP and WELL Faculty member. Tania is a program advisory member for the architecture program at Ryerson University and was an inaugural member of Waterfront Toronto’s Design Review Panel. Tania believes that architecture has an enormous impact on society’s quality of life and her passion for design is grounded in its ability to enhance happiness, health and productivity. Under Tania’s leadership, Bortolotto has steadily grown and has been recognized nationally and internationally, receiving numerous design distinctions and awards. Her Toronto firm has enjoyed a string of accomplishments recently, most notably plans to re-imagine the Rosalie Sharp Pavilion at OCAD University. 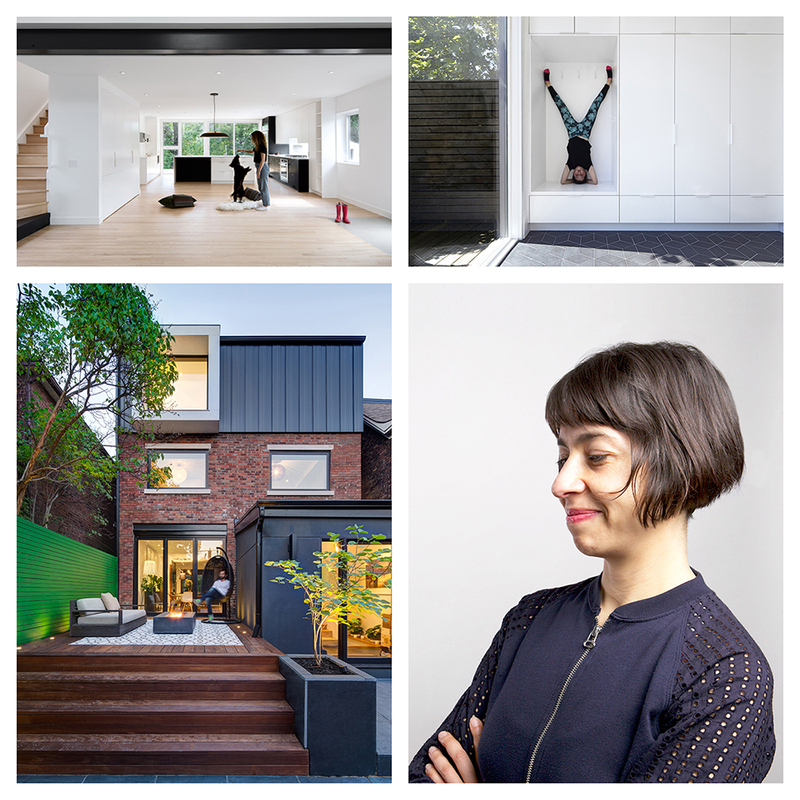 The firm was also recently named by Blog TO as one of the “Top 15 architects in Toronto.” A design advocate, Tania lends her time to numerous design and academic committees, panels and juries, individual mentoring, teaching, and speaking engagements. Tania was the recipient of Ryerson’s Alumni Achievement Award, a distinction given to graduates who have made a significant contribution to their profession, community and country. Limited space for event. Tickets sales begin May 14th at noon. Martha Thorne is Dean of IE School of Architecture & Design, part of the innovative IE University in Madrid/Segovia, Spain. She also is Executive Director of the Pritzker Architecture Prize, a position she has held since 2005. From 1995 to 2005, she worked as curator in Department of Architecture at The Art Institute of Chicago. She has written numerous articles for books and journals on contemporary architecture. She served on the Board of Directors of the International Archive of Women in Architecture and the Graham Foundation for Fine Arts. She has participated on juries for the new National Museum of Chinese Art, Zaryadye Park in Moscow and the international jury for ArcVision – Women and Architecture Prize. Ms. Thorne received a Master of City Planning degree from the University of Pennsylvania and a Bachelor of Arts degree in Urban Affairs from the State University of New York at Buffalo. She undertook additional studies at the London School of Economics.